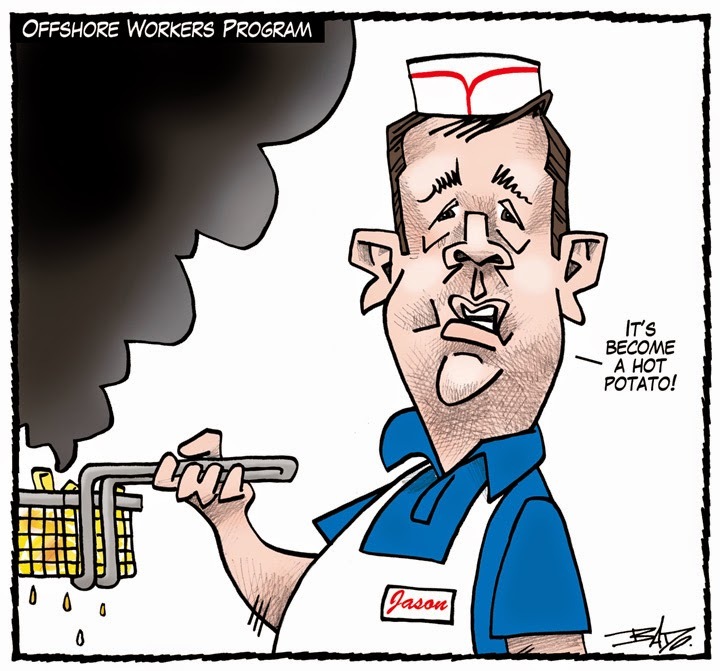 Bruce MacKinnon in The Halifax Herald. Halifax Chronicle Herald’s Bruce MacKinnon travelled to Viborg, Denmark to pick up his second prize in the 2014 Niels Bugge Cartoon Award. 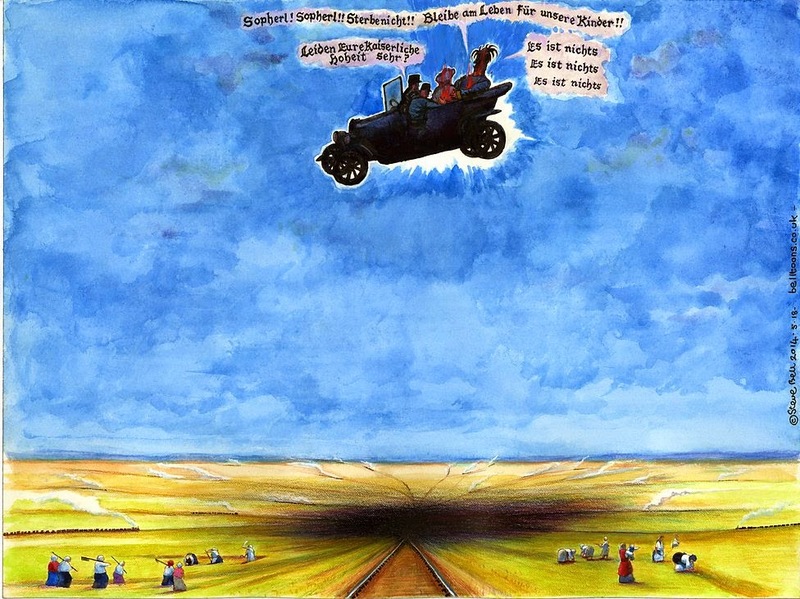 Twelve cartoonists and graphic artists have responded to the events that happened across the world as the world was heading to war one hundred years ago. Artists include Steve Bell (Guardian), Peter Brookes (The Times), Steven Camley (Glasgow Herald), Kate Charlesworth (The Cartoon History of Time), Achim Greser & Heribert Lenz (Frankfurter Allegemeine), John McCrea & Ferg Handley (Marvel/Lucasfilm & Marvel/Commando), Jon McNaught (Dockwood), Woodrow Phoenix (Rumble Strip), Zoom Rockman (The Zoom! 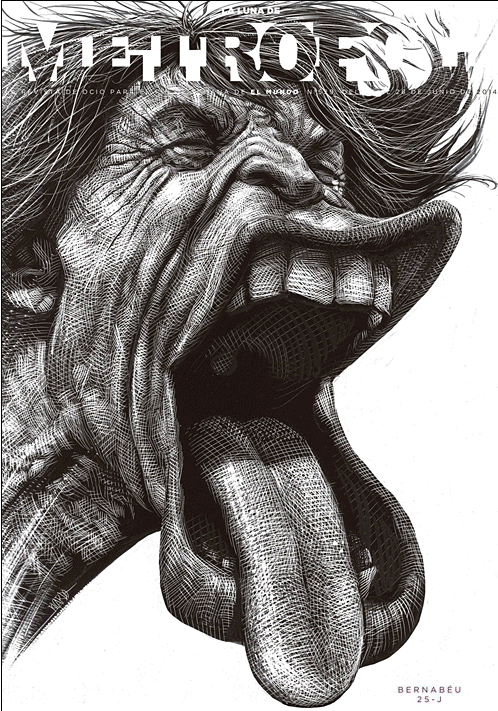 ), Posy Simmonds (Tamara Drewe), Ralph Steadman (New Statesman), and Alan Cowsill & Lalit Kumar Sharma (The Strange Case of Dr Jekyll and Mr Hyde, Marvel). The dying Archduke said: "Sophie! Don't die! Stay alive for or children!" His aide: "Is your Imperial Highness suffering very badly?". Franz Ferdinand, dying said "It's nothing" several times. His children would never inherit the crown as their mother was a commoner. Tim Madigan in The Fort Worth Star-Telegram. Etta Hulme, a longtime Star-Telegram editorial cartoonist who rose to national prominence with her understated drawing style and liberal-leaning wit, died Wednesday at her Arlington home. A cartoon gallery, created by cartoonist Matt Wuerker, in Politico Magazine. From left to right (top row) Thomas Nast, Dorman H. Smith, Victor Juhasz, Brad Holland, Tad, (middle row) Joseph Keppler, Frank Nankivell, Art Young, Herblock, Patrik Oliphant, (bottom row) Bill Crawford, Ann Telnaes, Gary Brookins, Martin Rowson, G. E. Ciani, J. Keppler, Alfred Owen Crozier and Matt Taibbi. 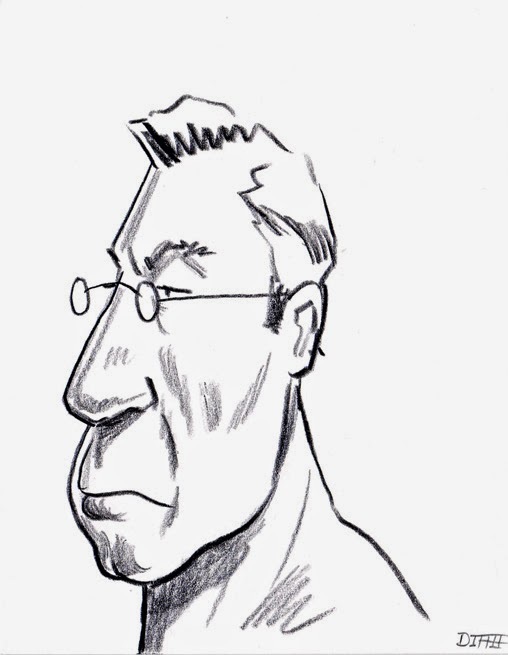 Down through the Gilded Ages and all the boom-to-bust bubbles, one icon of American cartoonography has proven unshakable. 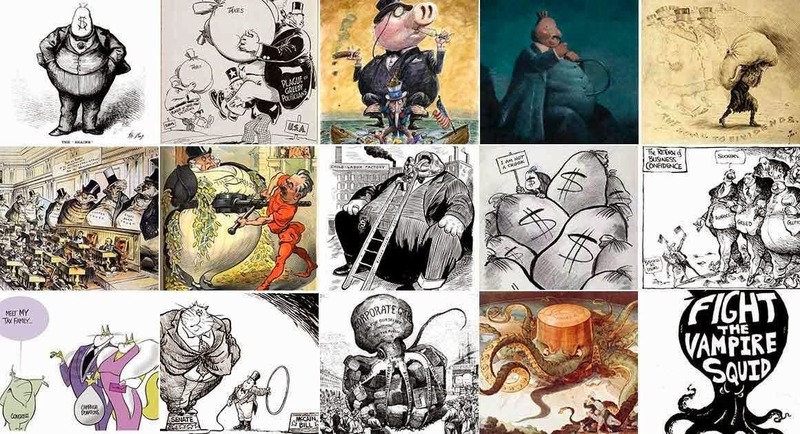 There’s something about the symbol of big money in politics that always bends toward the pinstriped cigar-chomping fat cat and the voracious vampire squid. Of course, Mr. Moneybags has had a makeover and update or two over the years, but our “malefactors of great wealth” haven’t been able to shake the avatar penned by us ink-stained wretches for a couple centuries now. 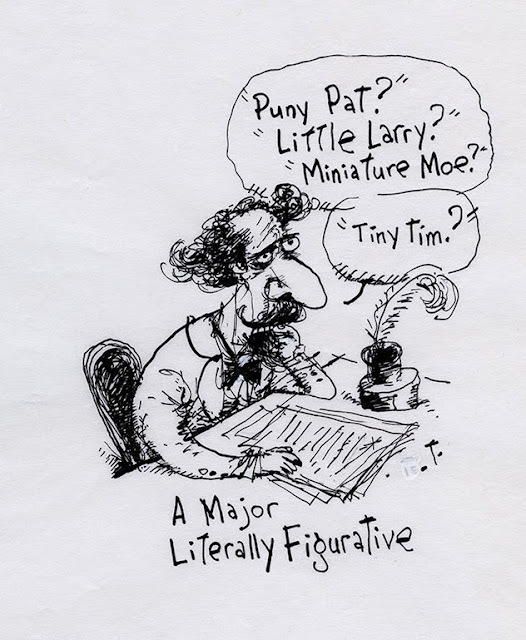 *This post originally featured the video "Ann Telnaes: From sketch to animation" which can be found here. 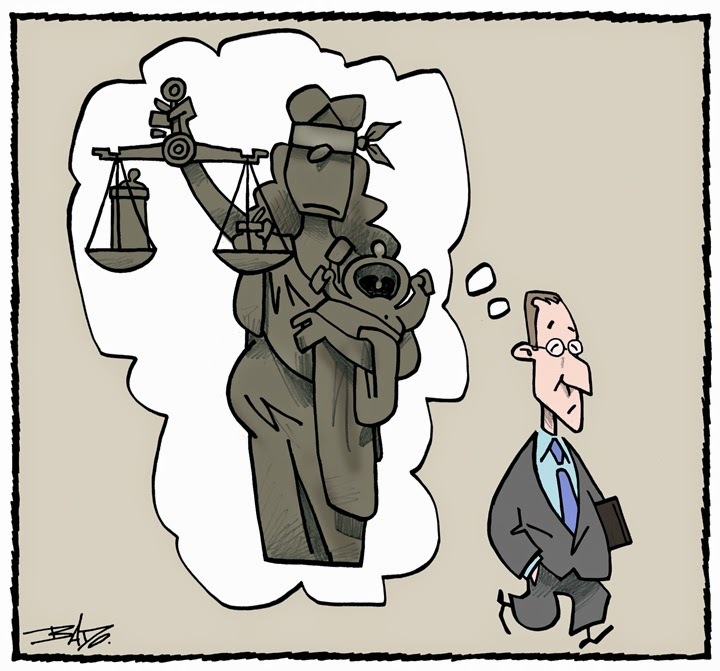 Minister of Justice Peter Mackay claims women prefer motherhood to the bench. The above cartoon is featured today on the Yahoo! Canada website. A short film by Ben Barrett-Forrest. 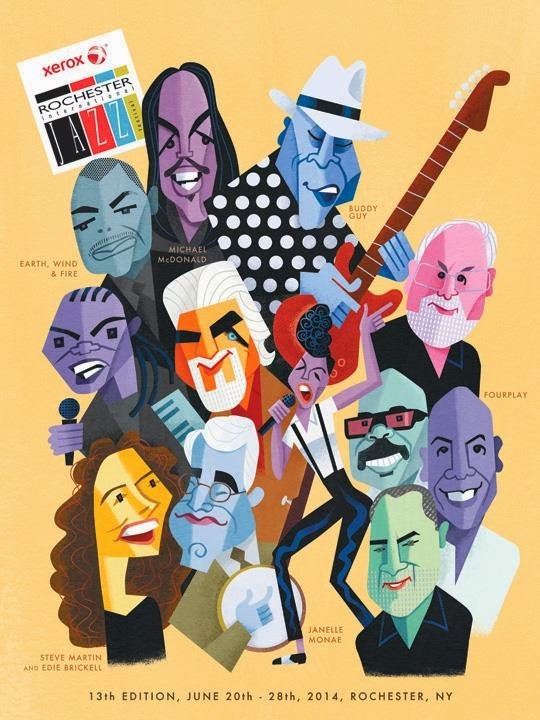 Wonderful caricatures by David Cowles for the Rochester International Jazz Festival! 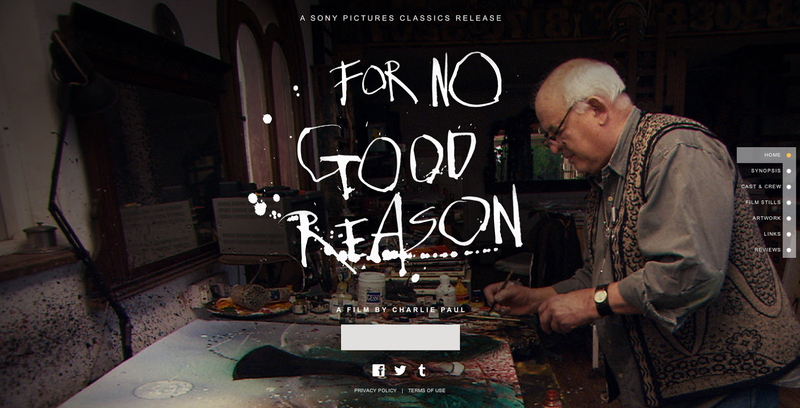 Johnny Depp, who played Hunter S. Thompson in the film "Fear and Loathing in Las Vegas", pays a call on his friend and hero Ralph Steadman and we take off on a high-spirited, lyrical, raging and soulful journey discovering the life and works of one of the most important radical British cartoonist and artist of modern times. Johnny Depp, Terry Gilliam and Jann Wenner appear as themselves in For No Good Reason, now playing in movie theatres. Edward M. Eveld in The Kansas City Star. 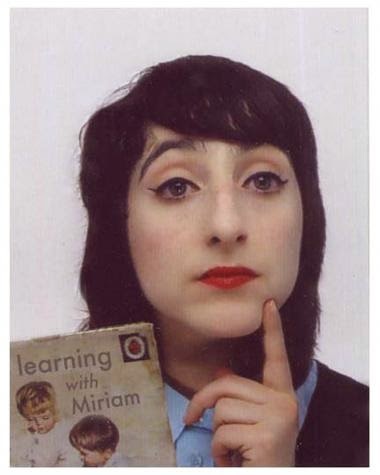 Miriam Elia is a British comedian and visual artist whose work has ranged from radio sketches to art installations, books and Channel 4 shorts. 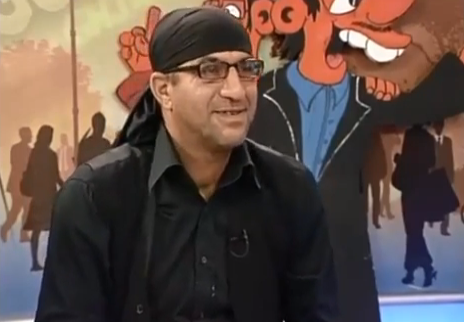 Cartoonist Mehmet Düzenli began serving a three-month prison sentence yesterday in the southern city of Alanya on charges of insulting Adnan Oktar, a controversial Muslim preacher who is well known for his creationist, anti-masonic, anti-Zionist and holocaust-denial views. British artist Miriam Elia, curator Camilla Ellingsen Webster and cartoonist Jeremy Banx seek to demonstrate the importance of appropriation in art and satire. As we get closer to the release date, I will tell you about the book and its beautiful full color paintings, complex illustrations and comic strips. But today I'd like to focus on the preliminary sketches and doodles that we found littering the floor of Richard's studio like used Kleenex. 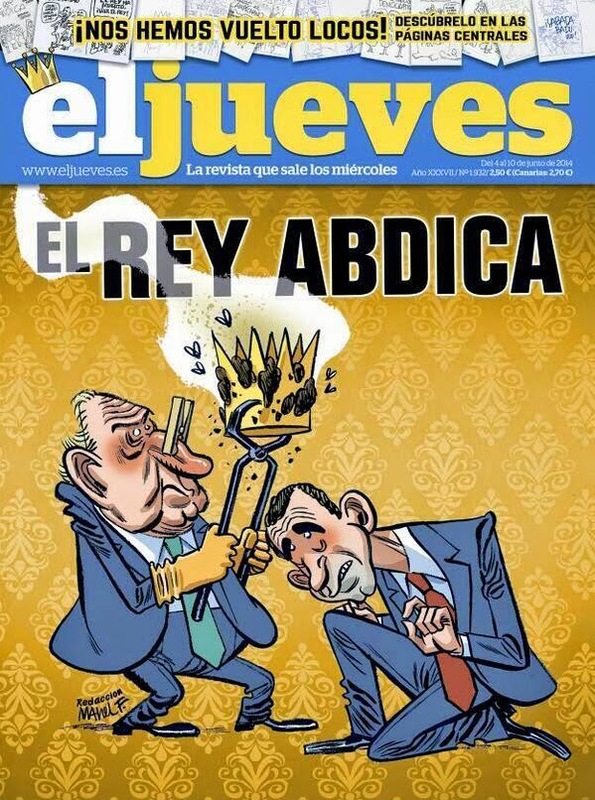 14 cartoonists have left satirical magazine El Jueves over the past 24 hours and leading Spanish daily El Mundo has suspended two correspondents over censorship accusations on Twitter. 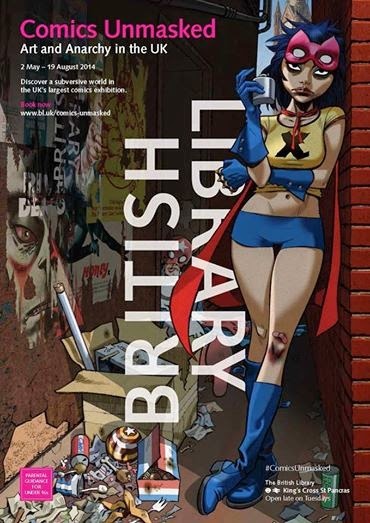 Comics Unmasked: Art and Anarchy in the UK , at the British Library until August 19, shows us how powerful comic books can be at challenging authority, as a source for people power, a thorn inside the machine. 2. 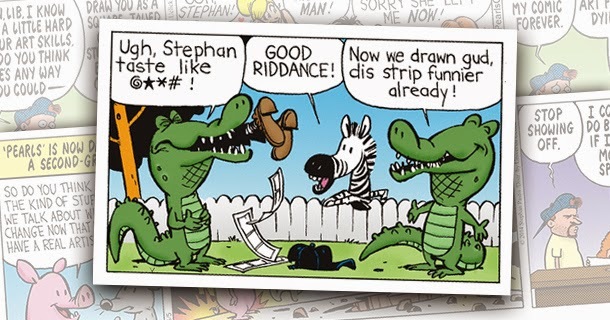 Pastis managed to draw out his Watterson-week storyline brilliantly, layering humor upon meta-humor in a hilarious house-of-mirrors reflection on the comic-strip industry past and present. Has anyone in recent memory drawn such feats as that? 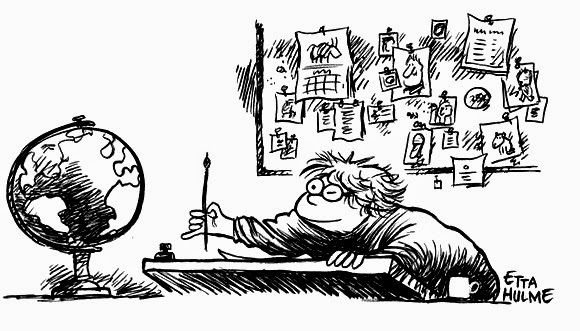 It is special to have Watterson back into the comic-page spotlight, even if only for a few wonderful days. Andy Radia in Yahoo Canada. There's a saying in the political cartoon business that goes something like this: "If you're not spurring controversy, you're not doing your job very well." 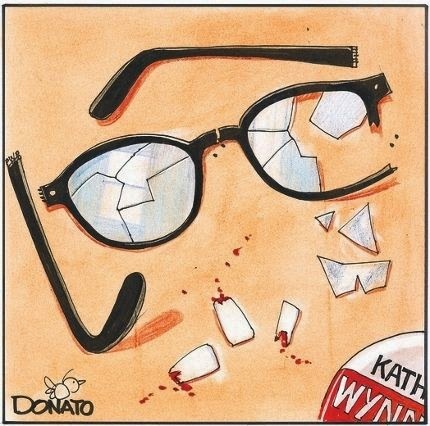 Andy Donato of the Toronto Sun certainly created some controversy earlier this week for a cartoon which depicted Ontario Liberal leader Kathleen Wynne after getting metaphorically pummeled during Tuesday night's debate. 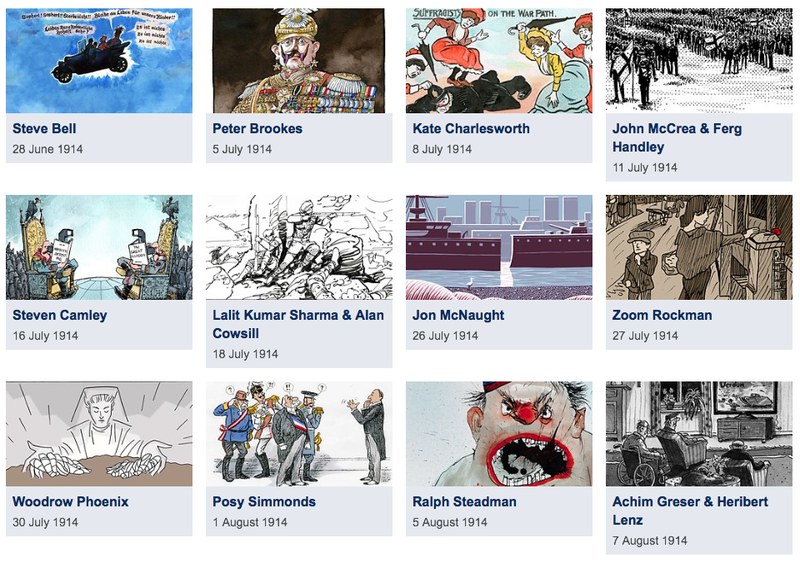 From The Cartoon Museum website. 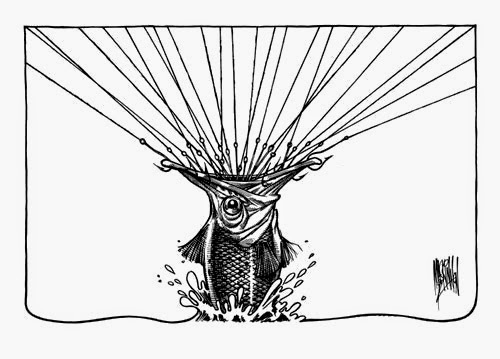 From the Joe Shuster Awards website. 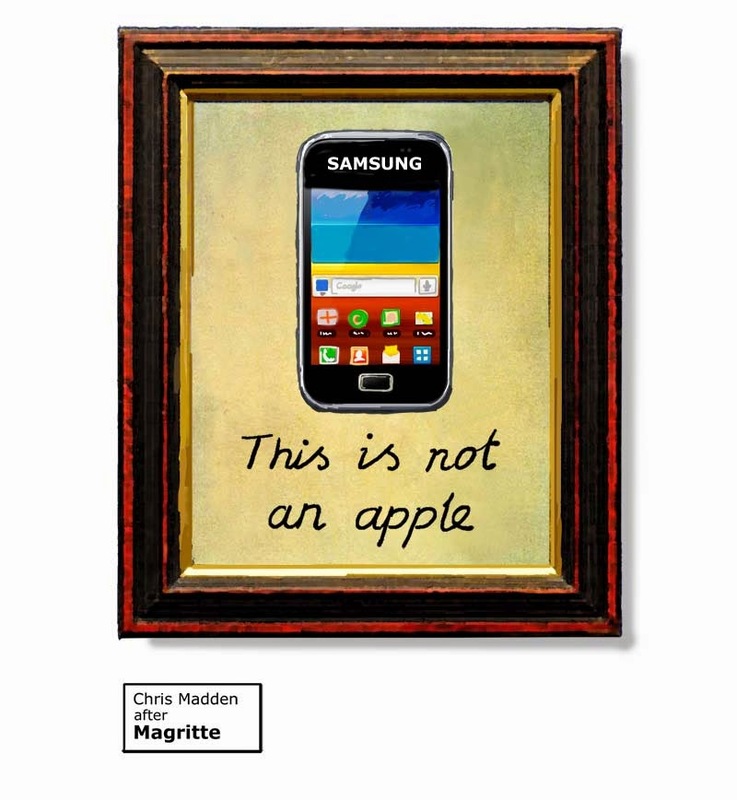 If you dig what I do, get on my mailing list. Everyone who does gets a free drawing until I come to my senses. 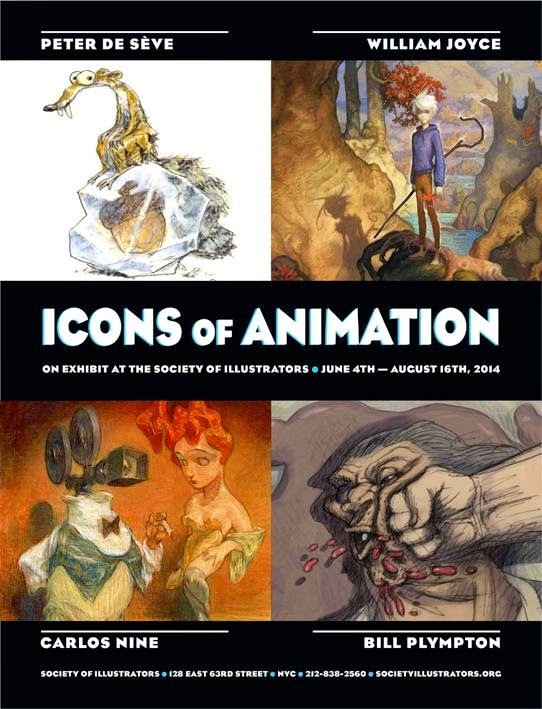 Opening this week at the Society of Illustrators of New York, will be a four-man show called Icons of Animation which will feature the work of the indefatigable Bill Plympton, the dazzling Carlos Nine, the fantastical William Joyce and Peter de Sève. On view will be over one hundred pieces of original works on paper for projects varying from the highly personal to the shamelessly commercial. Please join us Bill and Peter for the opening reception this Friday evening. This Thursday night, Bill and Peter will sit on a panel together discussing their experiences in the field of animation which will be moderated by J.J. Sedelmaier. The event is sponsored by the Academy of Motion Pictures and will take place at The Academy Theater at Lighthouse Guild. 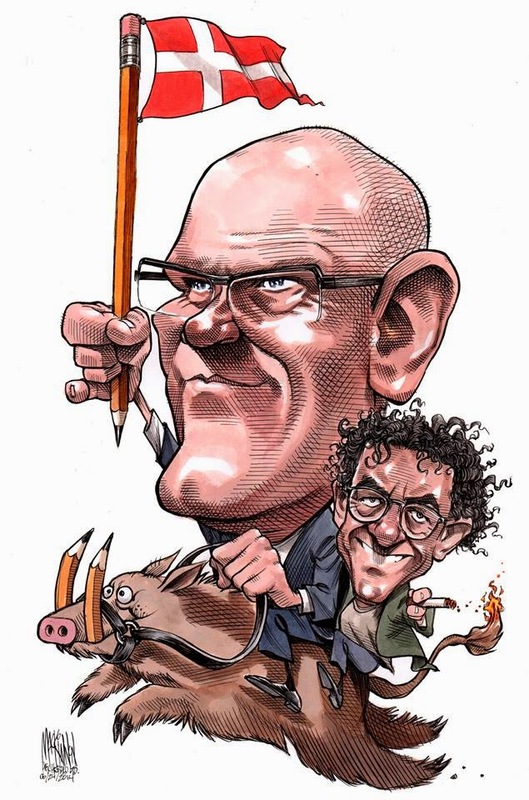 After the World Press Freedom and the NNA , Halifax Chronicle Herald’s Bruce MacKinnon has won second prize in the 2014 Niels Bugge Cartoon Award, based in Viborg, Denmark. The theme of the competition was Oceans Are in Our Hands. 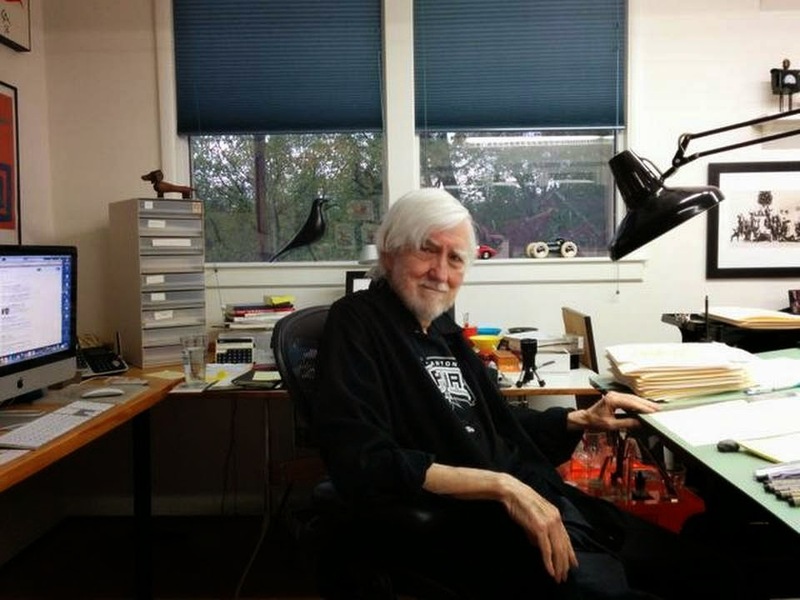 It was open to cartoonists from across the globe. The National Newspaper Awards were announced at an awards ceremony Friday night in Charlottetown, P.E.I. 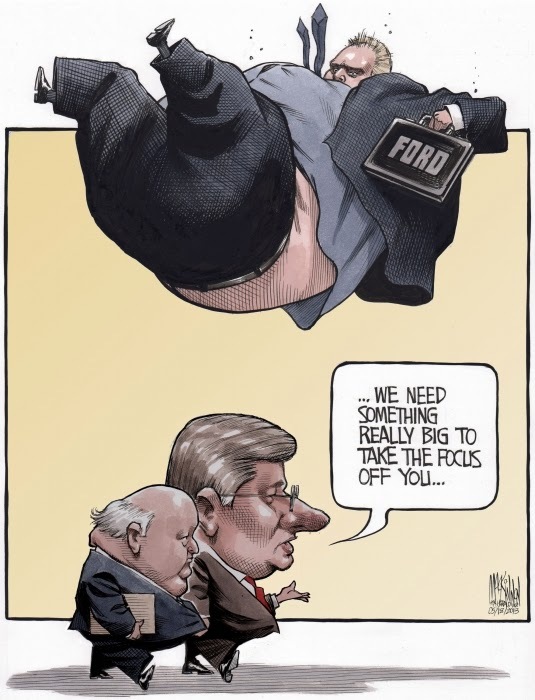 Top prize in the Editorial Cartoon category went to Bruce MacKinnon for this cartoon of Toronto mayor Rob Ford and disgraced Senator Mike Duffy.